The crane scale PCE-CS 1000N is a compact, mobile crane scale for in-plant use. The robust aluminum housing of this crane scale allows even the use in rough industrial conditions. Powered is this crane scale with three normal 1.5 V AA batteries what allows you a permanent operating time of approx. 65 h. The display of this scale is a 20 mm backlight LCD display. The backlight can be regulated and helps you to extend the operating time. 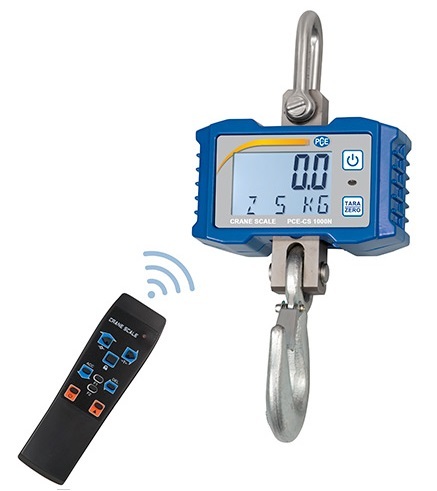 Further advantages of this crane scale are: gross / net weighing, sum function, hold function, auto zero off function plus the ability for the user to set a freely adjustable measuring unit. That means that the user has the ability to set a conversion factor what calculates the weight of the measured product in e.g. meter. This crane scale enables a linear calibration and ensures a very high precision. The affordable crane scale can be used by every practitioner in manufacturing and trading industry. If there are any questions about this crane scale PCE-CS 1000N, please have a look at the technical specification below or call: + 44 (0) 2380 98703 0. 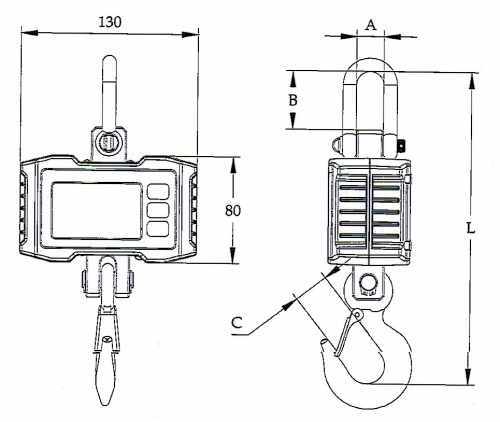 Our engineers and technicians will gladly advise you regarding the crane scales or any other products in terms of regulation and control, or scales and balances of PCE Instruments.